This is the official home of David Reddick, the creator of the King Features Syndicate comic strip "INTELLIGENT LIFE", the fantasy comic Legend of Bill , The Trek Life comic strip at the official Star Trek website STARTREK.COM, the sci-fi comics Rod & Barry and Gene's Journal at the official home of Star Trek creator Gene Roddenberry's company, Roddenberry.com, Cartoonist/Digital/Social Media Director at the Garfield cartoon studio, and assistant artist for Blondie, with a dash of Popeye and much more! Click HERE to read today's "INTELLIGENT LIFE" comic! 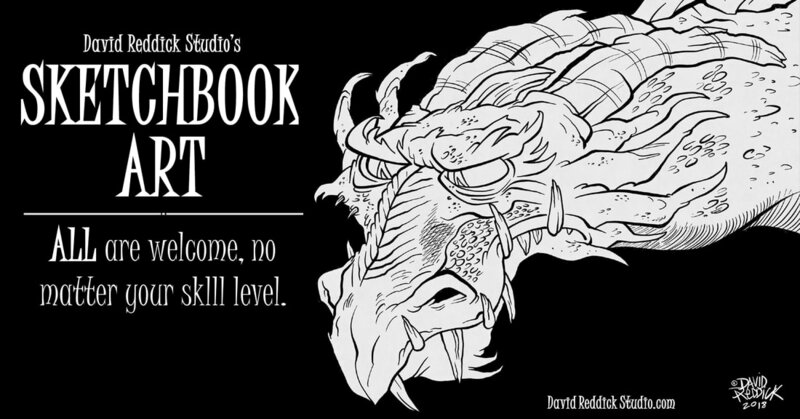 Click here and join 2,000+ members at my Facebook Group "Sketchbook Art!"